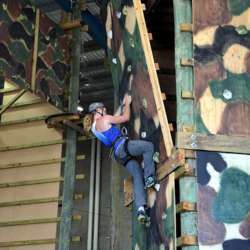 You must be a member of the Gold Coast Explorers Group to attend this activity. Would you like to join this group? Are you ready to push your mind and body beyond their limits? The Explorer Group is glad to organise a session at Protected content is a brand new generation of indoor recreation centres offering you a unique adrenaline fitness experience. The owner is an ex-French special forces soldier and has created a commando theme park for the public. When we were kids, we created our own games and challenges to play in our backyards. As adults, we have a predetermined set of goals and rules about what it means to be physically active. Yet fitness should also be fun and exciting! Protected content presents a new exhilarating way of exercising. It has been designed to build your mental and physical fitness with an experience you’ll never forget. All equipment and safety training is provided. If there is less than 20 people to attend, price will be $49.